Both aliphatic and aromatic primary and secondary amines undergo N-acetylation. 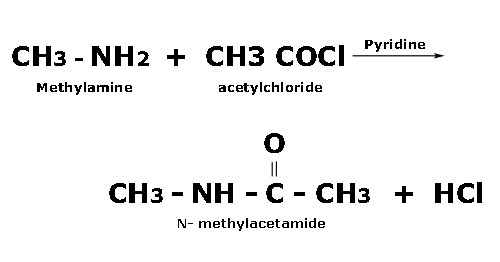 This acetylation can be effected using acid halides or anhydrides in presence of a base (pyridine) and the product obtained is an amide. 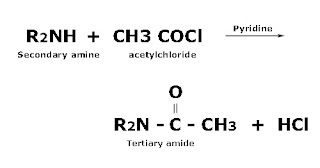 Base remove HCl and prevent protonation of amine. 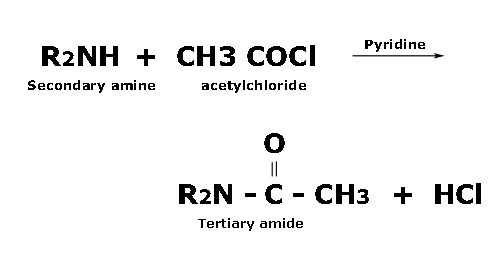 Since amides formed are not basic, they do not under go further actylation. 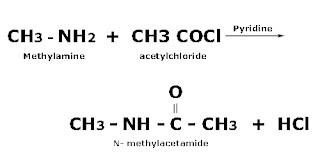 Acid chlorides are stronger acetylating agent than acetic anhydride. In tertiary amines there is no replaceable hydrogen and they do not undergo acylation.